Today Dee had a basketball game. He got to be on the court four times. 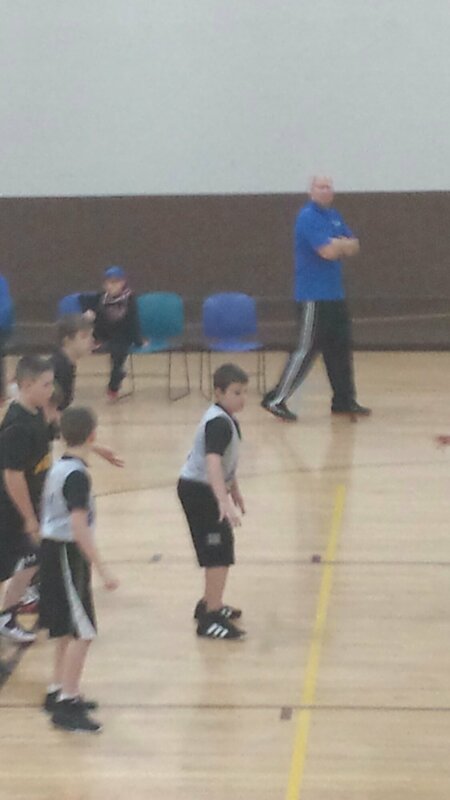 He got some rebounds and kept the other team from scoring a few times. Unfortunately they lost. Before the game I took time to prepare Chase. Chase entered the school voicing his desire to play with his brother. It didn’t matter how many times we let him know that we were there to watch, he insisted on playing with Dee. A small group of boys practiced in the hallway once we arrived. Chase immediately tried to block shots. I think he is a natural. While Scott took Emma and Dee in for the game I sat down with Chase to write down rules. Once insidethe gym he did a great job following our rules, I attribute that to how we came up with then collaboratively. When he helps come up with them he feels more vested. He did fantastic. He knew he had to sit on the bleachers to watch. He knew that if the echo in the gym became unbearable he could take a break. He came up with his choices – hide under a blanket, take a walk in the quiet halls, go get a drink of water. He ended up taking a break under a blanket and then daddy gave him the smartphone. All else went to the wayside as he built his movie theater on minecraft. After the game ended he finally got his wish. 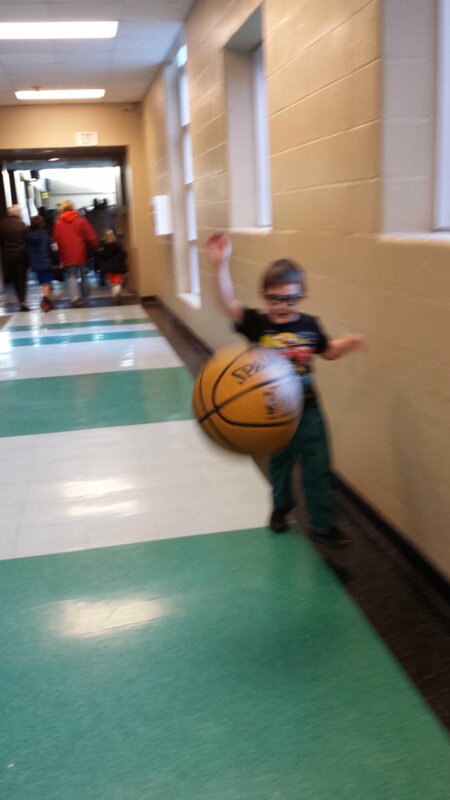 Dee let him dribble the ball in the semi empty hallway.